Capital City Group is providing crane and hoist rental, heavy hauling, and rigging services to the first hot-briquetted iron (HBI) production plant for Cleveland Cliffs. The project is an important strategic milestone for Cliffs, as they implement their plans to be the sole producer of high-quality HBI for the EAF steel market in the Great Lakes region. Cliffs is the dominant player and sole supplier of merchant iron units to integrated blast furnace clients in the Great Lakes. The Toledo, OH HBI plant will extend Cliffs’ market reach towards EAF steelmakers. Our selected site at the Port of Toledo, approximately 120 miles from our corporate headquarters in Cleveland, is a premier location for development. In determining the best location for the new HBI plant, the relative proximity to future customers in the Great Lakes region was a very important criteria. The HBI plant will be situated in close proximity to a heavy concentration of electric arc furnace steel producers. 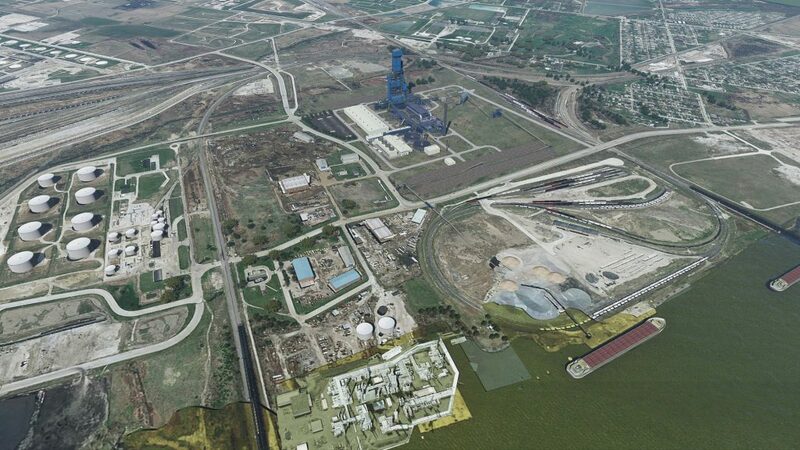 In addition, the Toledo site has logistical advantages such as an existing dock, rail access, heavy haul roads for construction and operation logistics, and availability of critical utilities such as natural gas, electrical power, and water. The location will allow our plant to receive our iron ore pellets produced in Michigan and Minnesota, similar to how we currently supply our existing blast furnace customers. The rail and heavy haul roads give us the ability to serve our customers with fast and reliable deliveries. Midrex Technologies has been selected to design, engineer and procure the core equipment of the new plant, which will have the nominal capacity to produce 1.6 million metric tons of HBI per year. The estimated investment in the entire project is approximately $700 million*. Cliffs broke ground on the site in April 2018. The construction period is estimated to take roughly two years, employing approximately 1,200 construction workers during peak times. Production of commercial tonnage of HBI is slated to begin mid-2020, and is expected to generate about 130 good high-paying Cliffs permanent jobs.